You are here: Home > Blog: Let’s Simplify Digital! 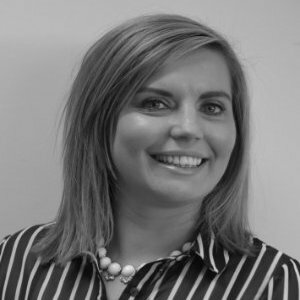 Our guest blogger this week is Evelyn Peters, Digital Solutions Manager, Nielsen and an IAB Ireland Member. Evelyn touches on how our digital world seems to have evolved into such a complex medium and what we can focus on to make it a simpler and more transparent environment. When it comes to Digital advertising, I feel that we are making things so complicated for ourselves that it would be very difficult to explain any aspect of it to a six year old child. Every event I attend, every article I read about Digital, it seems to include this unnecessary complexity. It seems to be filled with apprehension and fear and I believe that we all need to relax, take a step back and breathe. I remember back in the day when Digital people, including myself, could be a little smug when it came to Digital reporting. We could include so many metrics and results; I really felt that Digital was a step above every other media. But now, I feel it has just got out of control and we need to concentrate on what metrics are most important and relevant. Let’s look at viewability and audience measurement metrics. Viewability is a topic that I personally go back and forth on. When measuring other media like TV & Press, viewability is not a major concern, mainly due to the fact that how could we ever get an accurate viewability measurement? But for Digital, there are tools that can measure viewability, so straight away Digital is at a disadvantage. Viewability is defined as “an opportunity to see an ad”. The argument seems to be based around – what is an opportunity? For example, if an ad is served down at the very bottom of a website page, where there is absolutely no content around it, is there an opportunity to see this ad? To the majority of us that would be a resounding ‘no’. Unfortunately for publishers, they are going to need to up their game when it comes to the layout of their online content and how they position their ad spaces. This may result in a short term loss but it will deliver a long term gain. If you are a publisher that is over delivering campaigns to reach a viewable rate, I’d suggest you to refrain from such practices. The money wasted on this extra inventory is money that could be invested in improving websites and ultimately the user experience. Advertisers of this world are now looking for vCPM’s, let’s be prepared for this and future proof websites. I personally believe that there should be room for some sort of shared level of error when it comes to the viewability metric, but it is here to stay so let’s deal with it and move on. If you take a step back, and look at digital campaigns, the majority are either brand campaigns or direct response campaigns. For direct response campaigns, the only result that you should be concerned with is cost per acquisition (sign ups/registrations/sales etc.). You may not be getting the sexiest of inventory but your KPI is to get the lowest cost per acquisition as possible by running high volumes of inventory for the cheapest cost. However, when it comes to Brand campaigns you need to look at a couple of different metrics. You need to look at viewability and what audiences you are reaching. You need to ensure that your brand message/story is being delivered to the correct audience. Your KPI’s for brand campaigns need to be viewability and unique reach of your target audience. And yes, there is an extra cost involved to measure these metrics but if you want the reassurance and verification that your campaign is performing to the best of its ability then these costs need to be taken into consideration when planning your brand campaigns. I understand that you may be reading this and thinking digital is way more complicated and always will be. There are many other issues that I haven’t even touched on such as adblocking, GDPR, ad fraud and don’t even get me started on online video measurement, which is for another day. However, taking all these issues into consideration, it is still my advice to every advertiser, to every media agency, to every publisher that if you can’t explain your digital strategy or your KPI’s for your digital campaign measurements to a six year old, maybe Einstein is right, maybe you don’t understand it and you need to revisit it and simplify!